Moving from Florida to GeorgiaThe most affordable and popular move is between FL and GA. 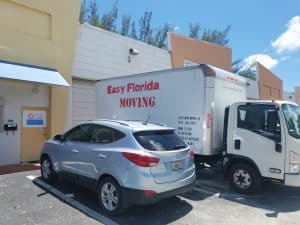 Starting from as low as $999 to move from Miami to Atlanta, Easy Florida Moving also offers flexible schedule and exclusive options for straight delivery. One of our most widely used interstate relocation is definitely moving between Florida and Georgia. Move from Miami to Atlanta and reverse is that what is our customers are usually ask about. 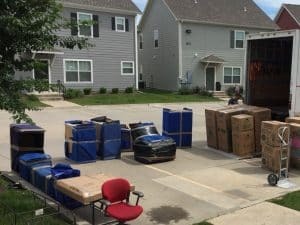 Moving specialist from Easy Florida Moving will always find the most affordable and cheap moving to Georgia using our service. We do it on daily basis and more than familiar with all of the requests that you may have regarding your upcoming relocation to or from GA.
We had a great experience moving from Miami to Atlanta. Alex and his team packed our entire house (they packed everything in one day), stored it for one month and then delivered it on the date requested. We had received maybe 10 quotes and they were the most reasonably priced with excellent ratings. What sold us was that we were able to pick our delivery date and the ratings on yelp. Most interstate movers don’t offer specific move in dates. Matter of fact the next best mover offered me a 2 day window. So I am safely say he was the only one out of 10 movers we looked at. We looked at both local movers and the well known national brands. Those movers give you a 7-10 day delivery window..some even longer. Other places also add an hefty price for storage. Another thing we appreciated was that Alex was flexible when we needed to change our delivery date. Great customer service, great job packing everything (nothing broken, and everything wrapped, padded etc.) and very hardworking guys who delivered and assembled everything. They even helped me turn our convertable crib to a full bed! They were simply amazing. I highly recommend!! !